Hi, I am a Perth based orthopaedic surgeon with a subspeciality in shoulder surgery and sports injuries. I help patients who have been sidelined by a shoulder injury, so they experience a service of excellence. 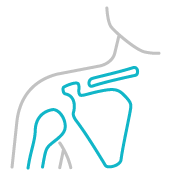 From rotator cuff repair and AC joint reconstruction, my practice helps you with excellent care. We also assist you for any workers compensation related procedure surrounding your surgery. A shoulder arthroscopy is a procedure that orthopaedic surgeons use to inspect, diagnose, and repair problems inside your shoulder joint. They use a small camera or an arthroscope, and surgical instruments to examine and repair the tissues in and around the shoulder. 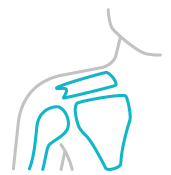 Rotator Cuff Repair surgery is very common and is done for patients who have significant pain. It's definitely recommended if the pain is interfering with your sleep. Once the tendon is detached from the bone, it starts retracting due to the pull of the rotator cuff muscles. In this situation, a gap develops, and the tear cannot heal. Arthroscopic Shoulder Stabilisation is a minimally invasive operation. It allows Dr Colvin to correct instability of the shoulder joint. Arthroscopic Shoulder Stabilisation is sometimes referred to as arthroscopic labral repair and it is performed to stop the ball of the shoulder joint from coming out of its socket. The Latarjet procedure is a brilliant improvement on an operation that has been around for half a century. It is an operation to stabilise your shoulder and prevent shoulder dislocation. It involves taking a bone graft from the front of the shoulder blade and attaching it to the front of your shoulder joint socket.